Green-tailed Towhee, a Secretive Desert Dweller /Hawks Aloft Inc.
Who says that all desert birds sport drab plumage? Just take a look at this handsome specimen of a Green-tailed Towhee, photographed by our very own Doug Brown. He is a master at capturing species that are seldom seen in the desert southwest. 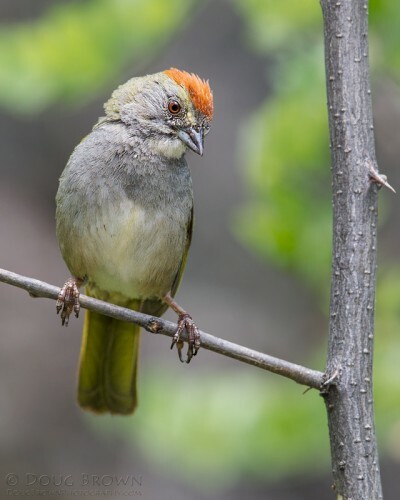 Green-tailed Towhee remains one of the more poorly understood North American birds, despite being common throughout much of its range. They can be found in mixed shrubland and open areas of montane forests throughout the west.